Looking for a cheap flight from Langkawi to Kuala Lumpur (LGK-XKLA)? Before you book a flight you can use Utiket to find the cheapest flights from Langkawi to Kuala Lumpur for MasWings, AirAsia, Malindo Air, FireFly, AirAsia X. All flight data are real-time and accurate. Utiket finds all the cheapest flights from Langkawi to Kuala Lumpur. On average the flight time between Langkawi and Kuala Lumpur is about 55 min. There is no time difference between these cities. The timezone for both cities is: UTC +08:00. The local time now: 02:13:53. There are 5 airlines flying from Langkawi to Kuala Lumpur. Weekly there are 127 flights between Langkawi to Kuala Lumpur. The earliest flight from Langkawi to Kuala Lumpur is at 07:20. The latest flight is at 22:10. Langkawi International Airport is one of the busiest Malaysian airport located on the island of Langkawi in the state of Kedah. Langkawi is a popular tourist destination. The island is situated of the west coast of Peninsular Malaysia near the border with Thailand. 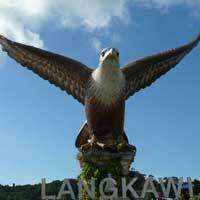 Find cheap flights to Langkawi or read more about Langkawi International Airport. The metropole Kuala Lumpur has multiple airports: Kuala Lumpur International Airport (KUL), Sultan Abdul Aziz Shah Airport (SZB). 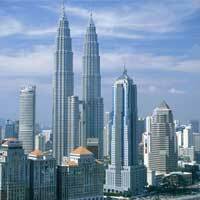 Find cheap flights to Kuala Lumpur here on Utiket. We compare flights to all airports in Kuala Lumpur, so you can find easily the cheapest flight.. Which airlines have direct flights between Langkawi - Kuala Lumpur? Need place to stay in Kuala Lumpur?